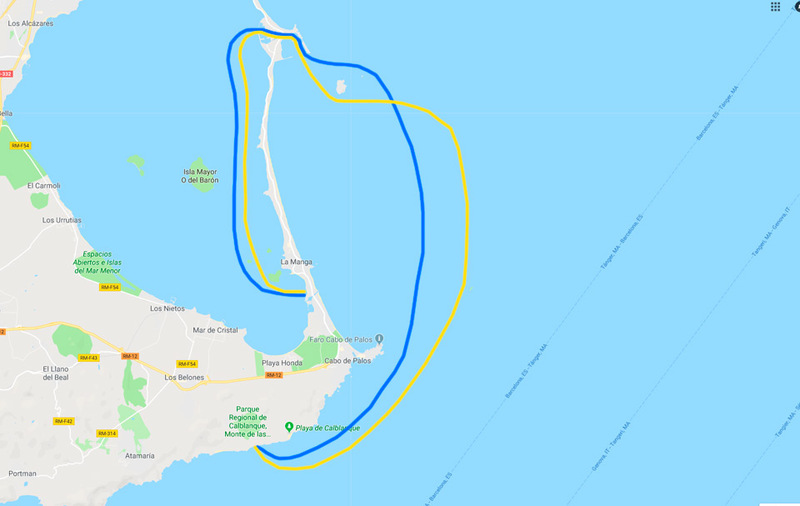 We will go along the coast from km 2 to approximately 12 km, where we will enter through the Tomas Maestre canal, until we reach the Mediterranean Sea. Direction towards Calblanque we will go past Cabo de Palos lighthouse. Once at the destination beach we will make a stop where we can enjoy the wonderful views, its dunes and give us a refreshing swim. On the way back we will stop at Cabo de Palos for a breakfast (optional), we will resume the march with the batteries charged back to the point of origin.